The speech by Minister of Tourism and Arts, Jean Kapata on the handover of 40 artworks by Zambian artists from the Royal Norwegian Embassy to the Lechwe Trust collection on the 8th April 2016 at the Lusaka National Museum calls for a moment of reflection as it unpretentiously gives an insight into government’s, and by extension Zambia’s perspective on the arts. The minister was not present during this otherwise important event, but instead of interpreting this fact as casualness on her part, understandably she is a very senior government representative and important party official who cannot make it to every arts event, even one as notable as a gesture of farewell from one of the biggest supporters of the sector in Zambia. Fortunately, the speech was read on her behalf by the similarly high-ranking Permanent Secretary in the ministry of tourism and arts Stephen Mwansa who did not waste time to emphasise he would recite it as it was, with no alterations in adherence of protocol. It opened with a brief eulogy to the outgoing Norwegian embassy declaring it a true friend of the Zambian arts and one of its leading supporters. The speech further expressed that the Zambian government through the ruling party takes the arts as a serious sector of development. “The Patriotic Front Government is fully aware of the contribution that the creative industries sector can make towards the development of this country once appropriate measures are put in place. You may wish to recall that as soon as we formed government in 2011, we immediately re-aligned this sector from a social one to an economic one,” stated the speech in part “This was followed by placing the arts in the same ministry with tourism and prioritising the sector as the major driver of the PF government’s ambition to create more jobs for our people, especially youth, who are the major players of the creative sector”. 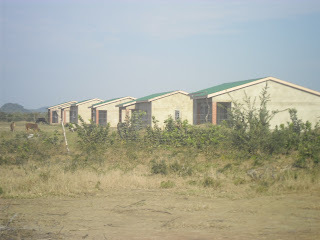 The speech claimed to this effect the Livingstone art gallery, Maramba Cultural Village and Masala Cultural Village are in place and others were under construction in all provincial centres and the ministry through the department of arts and culture was providing training for handicrafts design. “The government has also embarked on putting in place or reviewing appropriate legislation to accelerate development and enhance coordination in the cultural sector. Of particular importance is the arts, culture and heritage commission which seeks to bring together all the major players and stakeholders under one institution to spearhead growth and development in the sector,” continued the speech. 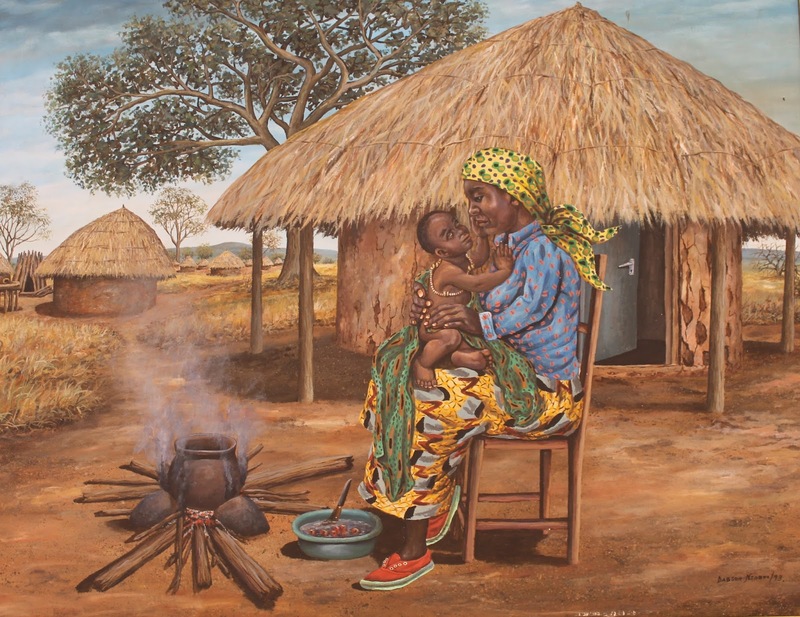 Kapata’s speech also stressed the art’s critical role in society and apart from entertainment; works of art such as the ones being donated were a mirror of society that provided valuable information about what is happening in the country sometimes providing solutions to daily social challenges. It also lay emphasis on the arts being a source of livelihood and underlined that they were a valuable depository of the country’s history and heritage and therefore a unique source of information. 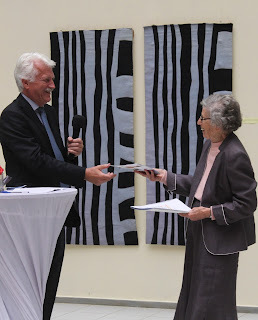 Kapata underscored that the donation of artworks from the Norwegian embassy could not be measured in monitory terms and was therefore priceless. On behalf of the Zambian government she thanked the Norwegians for the continuous support over the years and stressed that it was a sad moment particularly for the creative sector. “Zambian art has without any doubt developed to a very admirable level, if what we have on display here today is anything to go by. Only the other week, we witnessed yet another excellent exhibition at the old German embassy. Last year, Lechwe trust which is about to receive this wonderful donation, mounted part of their ever-growing collection at the American embassy”, read the speech. “All that art and the beautiful pieces mounted here will be packed in a metal container because as it is, there is no suitable home for them. Allow me to end therefore, by appealing to your Excellencies from both Norway and Germany, to consider as a parting gift the donation of your old embassies to the Zambian people for use as national art galleries. 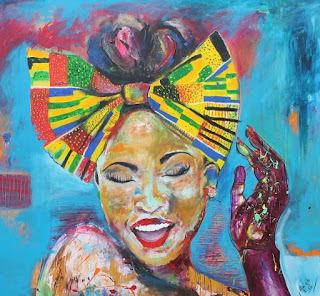 I can assure your Excellencies that with a permanent and secure home for this wonderful work; the Zambian art scene will never be the same again”. Musing over the minister’s speech, however, one can pick out the fact that the government has -- to a certain extent -- shown commitment to the arts. But as any observer or insider in this sector might be aware, not much has been done to back the speech-making. While the minister points out that: “placing the arts in the same ministry with tourism and prioritising the sector as the major driver of the PF government’s ambition to create more jobs for our people, especially youth”, frankly there has been no improvement in the livelihood of the Zambian artist or the arts at large. Perhaps this professed youth empowerment through the arts is happening in rural areas within the miniscule crafts sector, in the urban areas young contemporary artists are still languishing, and one case in point would be the youth who hang around the Arts Academy without Walls (AAWW), an affiliate of the Zambia Visual Arts Council in the Lusaka show grounds. The AAWW will provide a good example of youths who survive on the fringes of uncertainty on a daily basis; their art space is a rented place to which they individually contribute, many pay through their teeth and may all soon find themselves on the streets with no space to work as they go for months without selling a single sculpture or painting. Nevertheless, Kapata mentioned the reviewing of legislation to accelerate development of the arts and the cultural sector as critical stressing the importance of the arts, culture and heritage commission. Similarly, in his September 2015 parliamentary speech, republican president Edgar Lungu stated “The Minister responsible for Tourism and Arts will bring to this House the Arts, Culture and Heritage Bill aimed at harmonising institutional arrangements in arts, culture and heritage to reduce overheads and promote cost effectiveness”. He went on to announce that parliament had already supported the initial funding to create a national arts, culture and heritage commission as reflected in the 2015 budget in which an amount of K3, 500,000 was approved for the purpose. President Lungu stated that the newly created commission would improve the coordination, administration and management of the arts, culture and heritage sector in the country. A month after his speech, the president officially opened the National Art Exhibition at the Henry Tayali Gallery in October 2015 and signed the visitors book, in it, leaving remarks that tallied with his speech. 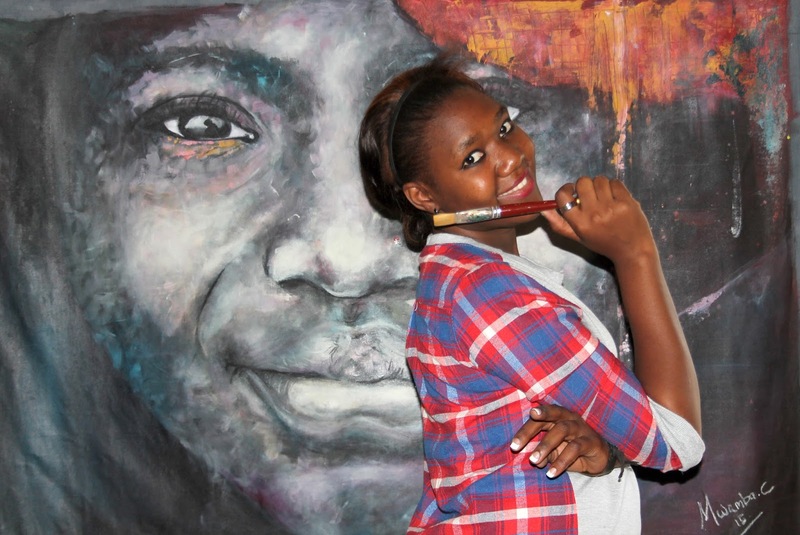 “Let’s create a living for our people out of their talents by making art an economic activity”, wrote Lungu. But following the president’s declarations, it can be reasoned that government support for the arts has become annoyingly tiresome rhetoric, what with parliament being dissolved hope for supportive legislature of the arts hangs in the balance once again. Truthfully, detailed information about this arts commission as well as the arts bill is fleeting, such that arts insiders are not able to trace the developments or give an assurance as to when everything will be put in place. Once more, returning to the minister’s speech, for Kapata – on behalf of government -- to literally beg foreign embassies to donate their buildings as art galleries her ministry does seem to be aware that these facilities are lacking. 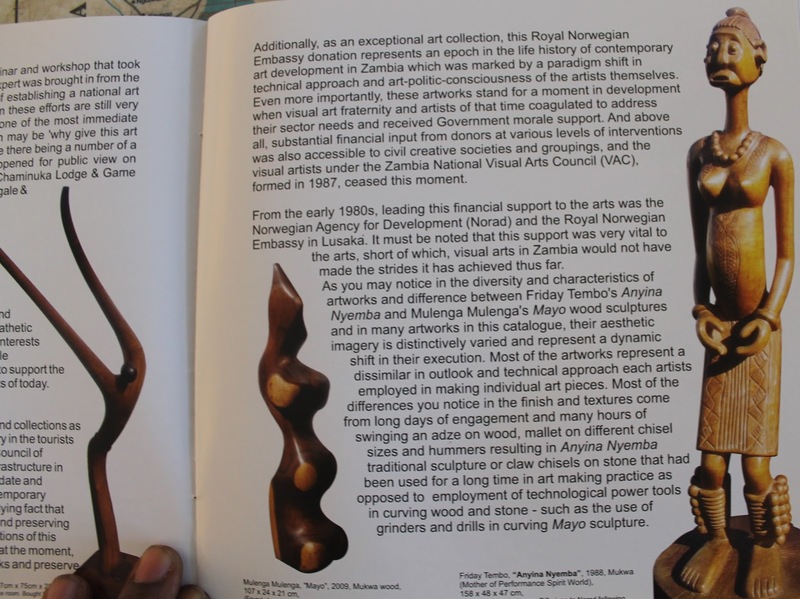 But does the ministry not question why these departing embassies are continuously donating their works to the Lechwe trust, a private institution with no gallery space and not to the Zambian government through the Livingston Art Gallery, the Henry Tayali Art Gallery or indeed the Lusaka National Museum, Copperbelt Museum or Livingston Museum? The answer is simple, the ministry of arts as well as the custodians of heritage in Zambia vis-à-vis the museums remain disappointingly fragmented even with talk of a commission the museums still fall under the Ministry of Chiefs and Traditional Affairs. Furthermore, because not much has been done to support training, these institutions lack the professionals to handle important works of art. Certainly this could be why departing embassies deem it safer to donate art works to a private trust that will store them safely in a metal container than leave them in the hands of institutions who do not really know what they are doing. Nevertheless, as a patriotic and passionate devotee of the arts, one can only wish the Ministry of Tourism and Arts and the government all the best in their hand-out seeking endeavours and pray that the Norwegian and German embassies respond to the humble request to donate their buildings as art galleries, perhaps that will be a step forward, even as the arts continue to ride in the back seat of the ministry and the national arts, culture and heritage commission hangs in the balance. As much as Chikankata became a district at the bidding of the late republican president Michael Sata in December 2011, like many other districts in the Southern Province it was hardly one of his political strongholds neither is it that of his successor Edgar Lungu, judging from his pitiful performance against arch competitor Hakainde Hichilema during the 2015 presidential bi-elections. According to Electoral Commission of Zambia (ECZ) statistics, Lungu of the Patriotic Front (PF) polled 471 against United Party for National Development’s (UPND) Hichilema’s 12,456 from a total of 28,778 registered votes but this has not prompted him to stay away from the district, according to well-placed sources he will be in town on official business in the next few weeks to formally open the yet to be completed managerial offices that include a large police station, a post office, district administration offices, staff houses and a civic centre. In fact, it is the last item here – civic centre -- that is of particular interest to this columnist because before completion it already features a sizeable concrete statue by Kafue-based artist and cultural officer Edward Kampeshi, commissioned by the district council the work celebrates its two main resources, agriculture and water – as a natural resource. Apart from commercial and subsistence farming, the district also boasts of the Kafue Gorge, the biggest source of electricity in the country. 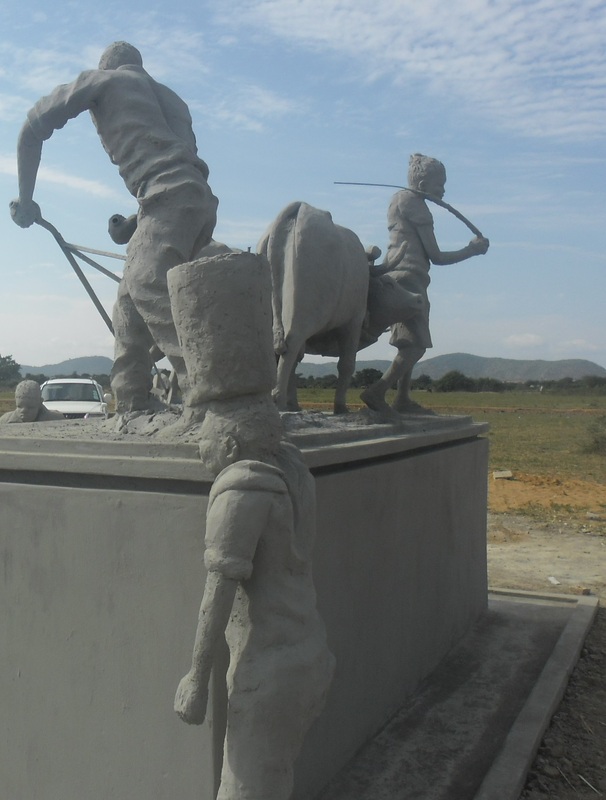 By and large, the Chikankata District Council has outdone itself as a pastoral, roadside town that one would honestly imagine does not have the commissioning of art as part of its grand scheme. Speaking in an interview early this week, council secretary Damson Mukwato shed light on the project. “First of all, as Chikankata District Council we are happy with the artist’s work. As a district council we have a motto and we say ‘water and farming is our strength,’ these are well articulated in the sculpture” he explained. He added that as much as Chikankata is considered a rural town, it has a story to tell and this can be best done through the commissioning of art works such as the one to adorn the new offices. He pointed out that his council intends to mainstream art. “We can tell our story through art. You and I know that when we travel abroad we are encountered by statues at important buildings that tell us more about the places we visit. Similarly when someone visits Chikankata they will find the statue and recognize what we are about. It’s not only a way of promoting international tourism but local tourism,” said Mukwato. Nevertheless, the artist also attempts to create a statue that embodies the very culture of the locals depicting a hard-working man and woman driving a plough with two oxen. 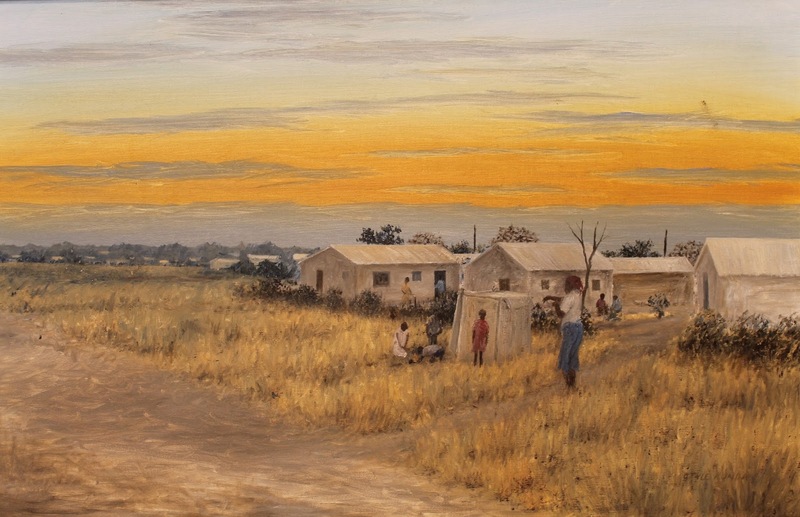 They stand elevated on a large plinth while two youths, a boy and a girl are at the ground level with buckets as if fetching water from a river. Whereas the two cattle may look disproportionate, during a visit to the site early this week, the artist reasoned that he was approached by a local by-passer who argued that when ploughing the fields cattle often stoop as well as sink their legs deep in to the earth for traction and therefore end up looking shorter than they actually are. Truly, who can argue with a local that has spent all his years living the pastoral life? Upon hearing the explanation, the artist made the necessary changes. If anything, it can also be noted that the two animals in the sculpture appear to be more anatomically correct than the rest of the figures but this could be part of the aesthetic. “I think I am happy with the final works. I know I may not be the best in Zambia but I am happy to be part of the project. 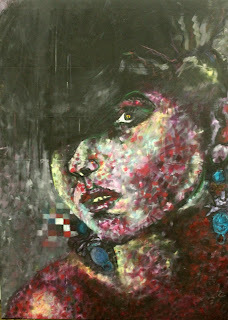 I have been working on the piece for the past 21 days, but now I can safely say I can allow it to harden for a few more days then return with some power tools to smoothen off the rough edges,” explained the 50 year-old artist who graduated with an Art and Design Teachers’ Diploma from the Evelyn Hone College in 1996, taught in various schools for several years and has worked in the civil service in various capacities ranging from graphic designer to cultural officer. He also spoke highly of the hospitality of the locals who inundated him with locally produced gifts of milk and chibwantu, a wholesome, non-alcoholic energy drink popularised by the Tonga speaking people which has maize-grits as one of its main ingredients. “I haven’t been drinking water since I came here. Milk has been my water, every day I am given a 5 litre container,” boasted Kampeshi light-heartedly. He hopes to complete the project within the next two weeks but expressed reservations whether the water feature will be up and running by then. Evidently, the plinth is designed to have water seep down its sides by means of a concealed fountain system and a pump. But during Mukwato’s interview however, the council secretary seemed confident that with good cooperation between his council and the contractors, the council building along with the statue and other infrastructure were in line for completion in the second quarter of 2016. Already popular among the locals, the Chikankata statue is likely to become a winner among art lovers and landmark enthusiasts who enjoy taking photographs because it is just a few minutes’ walk from the Mazabuka-Kafue Road which proceeds to the tourist capital, Livingstone. The new offices are about 50 kilometres from Mazabuka town and 15 kilometres from Kafue town. The fast growing district is also home to the Chikankata College of Bio-Medical Sciences a major training facility for the ministry of health, Chikankata High School which is run by the Salvation Army and Namalundu Secondary School plus over 30 primary schools, it would be good if visits to the statue can also become part of their school tours programmes to help inculcate an appreciation of art and a further understanding of the districts strength. Nevertheless, without doubt much can be critiqued in terms of the overall design and perhaps the finish of the statue so far, but it is yet to be complete and can be given a benefit of a doubt on those scores. Zambian artists may not have the resources and equipment, but a bronze would have been a befitting medium for the final statue not only for longevities sake, but as a hint towards prospective nickel mining in the area as the resource is often a component of bronze casting. 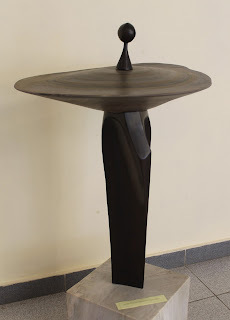 Furthermore here in Zambia, if previously built statues with water features are anything to go by, maintenance is usually an issue, even the simplest of water fountains end up being turned off. But all things said and done Chikankata District Council deserves a pat on the back and has to be emulated not only by the other newly established districts but also by those that were established before and after independence some 50 years ago but do not seem to show any appreciation for art or public sculptures. 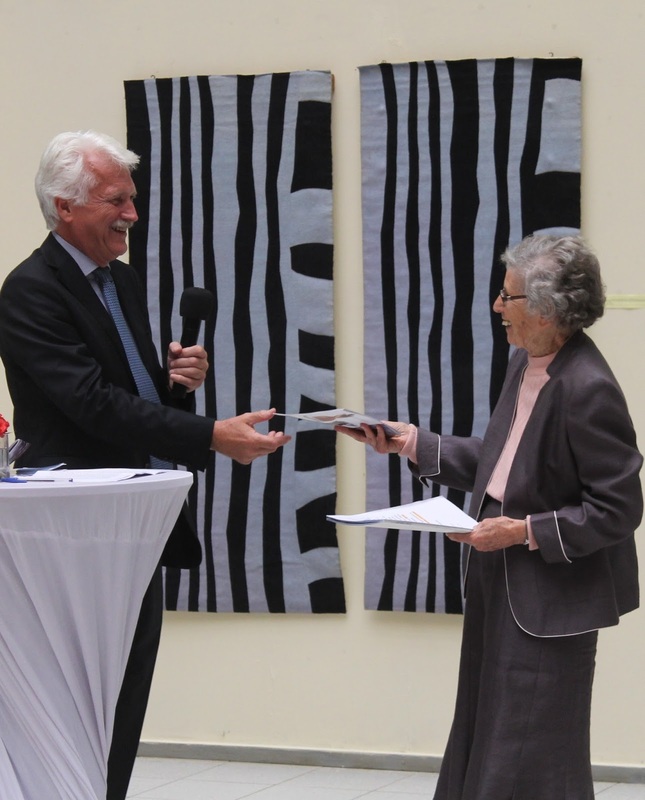 As much as the Norwegian embassy in Lusaka’s donation of 40 works to the Lechwe Trust Collection has brought a certain degree of approval within the Zambian visual arts community, there are concerns towards the impending departure of the Norwegians themselves, however, Ambassador Arve Ofstad assured Zambia that bilateral collaborations in the field of arts and culture will possibly remain open-ended. Addressing invited members of the diplomatic community, prominent collectors and personalities on the local art scene, representatives of arts organisations, government institutions, the media and artists during the opening of “Donation” the on-going commemorative exhibition at the Lusaka National Museum, he expressed confidence that the donation will contribute towards an early realisation of the Lechwe Trust’s long term ambitions to create a permanent display of contemporary Zambian art that will help preserve national cultural heritage and benefit locals and visiting tourists. 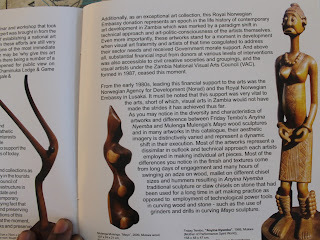 “Most of the artworks on display were acquired by the Embassy during the 1990s, a period when the Norwegian Agency for Development Cooperation (NORAD) explicitly supported cultural nation-building through individual artists, art institutions, as well as the organisation of arts in Zambia,” stated the ambassador who has been head of mission for the past five years. He pointed out that through NORAD, his government funded activities such as renovations of the Henry Tayali Visual Arts Centre in Lusaka, support towards the Visual Arts Council offices in Livingstone and Chipata. 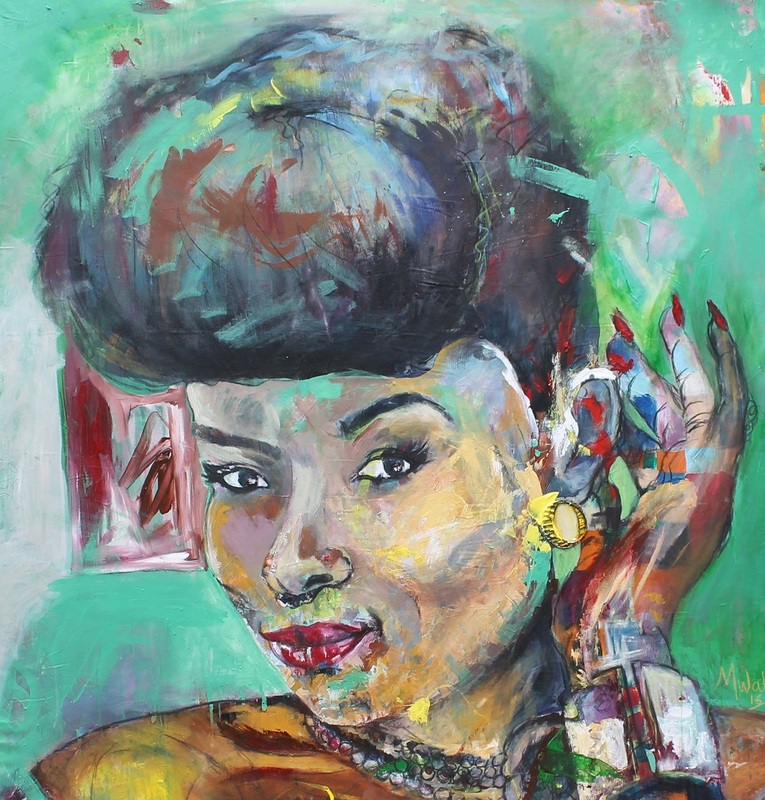 “This collaboration also directly involved several Norwegian artists, who were greatly inspired by their Zambian experience. This productive interaction continues to this day involving Norwegian institutions such as the Academy of Fine Art (Kunstakademiet) in Oslo and Kunstbanken Hedmark Kunstsenter, in Hamar,” he continued. Before attempting to clarify his embassy impending closure, he stated that the display of artworks was part of Zambia’s continued cultural nation-building and the individual works were building blocks in her identity, and as such, they constitute part of the world’s cultural exchange. A heritage he stated, that will continue to be shared in the future. “Let me now add a few words about the closing of Norway’s Embassy in Lusaka. I am not happy about this, but it is a decision by my Minister of Foreign Affairs, who has to make the best use of Norway’s resources in order to promote Norway’s interests in the world, in the same way as Zambia has to prioritise its resources for diplomatic representations. “The decision-makers in Norway believe that our development aid is even more needed in other countries, which are poorer than Zambia, or more affected by natural or political crises. Norway wishes to focus our cooperation on fewer countries and sectors,” he added. He maintained that at the same time, Norwegian business interests were growing in Zambia, although not yet well established and that perhaps in the future, a growth of commercial interest, tourism and other interactions may warrant a re-opening of the Embassy. “Let me add, with reference to an article in the Post Newspaper today, that I feel I have been quoted somewhat out of context, or maybe I did not express myself clearly enough. It is correct that we from the Norwegian side have been concerned about some development issues and challenges in Zambia, as in fact many Zambians also feel. But these issues are not the reason for closing the embassy,” stated the ambassador. He stated that he hoped for more opportunities to clarify the departure and that he hopes the countries share common interests in promoting democracy, peaceful development, and women’s emancipation and as such the two countries will find common grounds in international platforms for the promotion of these values. “I am sad to leave a Zambia where there are still so many development challenges. I nevertheless hope that the Embassy has left behind some positive footprints, and as I have said on other occasions, Norway is not leaving Zambia, we just have to find new ways of communication. I trust that we will meet again,” stated Ofstad. In a related story by Mukosha Funga published in the Sunday Post of 10 April under the headline “It’s pointless to keep funding a country that can’t manage its own resources – Ofstad”, ambassador Ofstad asserted a more caustic tone insinuating corruption and the lack of certain mineral resources among the main reasons for the departure. “…there was also the feeling that the anti-corruption fight has been going very much up and down and we feel that when a country doesn’t make enough use of its own resources, is not doing well enough in terms of public resource management, in terms of its distributional policies, then we should leave,” read Ofstad’s quote in part. Further addressing the tourism question he declared that as much as there is fantastic wildlife in Zambia, the tourism industry is undeveloped and Norwegians had been losing their passports here so they have found it was more necessary to keep their embassies elsewhere. Nevertheless, this latest donation to Lechwe Trust is its second gift from a departing European embassy, the first being that presented by the defunct Royal Netherlands Embassy who similarly donated works by Zambians in the guise of supporting cultural heritage in 2013. 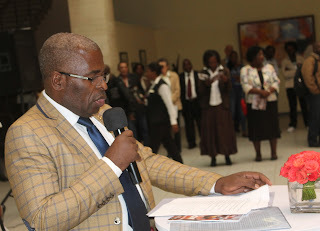 Anyhow, in a speech read on behalf of Minister of Tourism and Arts, Jean Kapata by permanent secretary Stephen Mwansa during the opening of the “Donation” exhibition, she was grateful for the assistance from the broader diplomatic community and pleaded for continued support towards the arts. “I want to put on record that the Zambian cultural sector, particularly the arts, received the biggest donor support ever from Zambia’s development cooperation with Norway, and this support covered all the art disciplines; namely, visual arts, music, theatre, dance, media and literary arts. Norway has truly been a friend,” read the speech in part. In conclusion, her speech was a direct appeal to the ambassadors present to consider as parting gifts the donation of their old embassy buildings to the people of Zambia for use as national galleries -- whenever a consulate is leaving. 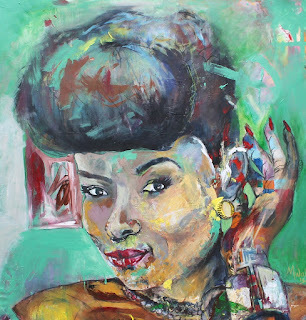 The announcement of the departure and remarks from Ofstad however attracted swift condemnation from Oslo-based Victor Mutelekesha, one of Zambia’s leading visual arts exports to Norway in an e-mail dated April 19 addressed to the ambassador and copied to several Zambian media houses. “I read with disappointment that you will be closing down the Norwegian Embassy in Zambia largely due to corruption. This is the decision Norway has made so I can’t stop that. But I have few questions that need answering because siting corruption as the reason for closing down the embassy is slightly misguiding and gives a very wrong impression about Zambia,” wrote the 40 –year old who studied has a BA and MA Fine Arts from the National Arts Academy in Oslo and has lived there for 15 years exhibiting extensively partially through Norwegian government grants and awards. He argued that Angola ranks among the 6 lowest countries on the transparency international corruption index list (2015) and yet Norway was maintaining an embassy there. He further argued that according to the same transparency listing , Zambia ranked number 76 on the corruption index beating Tanzania at 117, Kenya at 139, Uganda at 139, China at 86, Russia at 119, Nigeria at 136 and Malawi where the Norwegian embassy is relocating to sis at 112.